In the 1986 film The Money Pit, a young couple buy a beautiful old home for a bargain price, only to watch on in horror as their dream house to turns into a complete nightmare. A staircase collapses, wiring explodes into flames and water shoots out from the clapboard walls while they sink hundreds of thousands into the renovation. It’s probably a property investor’s worst nightmare and a stark warning to anyone about to embark on a renovation project. According to ABC Finance, UK property owners spend £6.8bn on renovations every year – and 13% of home owners spend £50,000 on top of the sale price to bring their properties up to scratch – so it’s worth putting in some legwork to identify existing issues before they become your problem. While it’s easy to fall in love with a period building these older properties need to be carefully scrutinised or you risk watching your profits get swallowed up by costly repairs and unforeseen expenses, for example, it can cost between £3,000 to £4,000 to get a two-bed terraced house rewired so you'll need to factor this in to your overall spend. "The most important thing you can do when buying a property is to make sure you get a good builder in to look at it prior to buying it," says property developer Deborah Durbin. 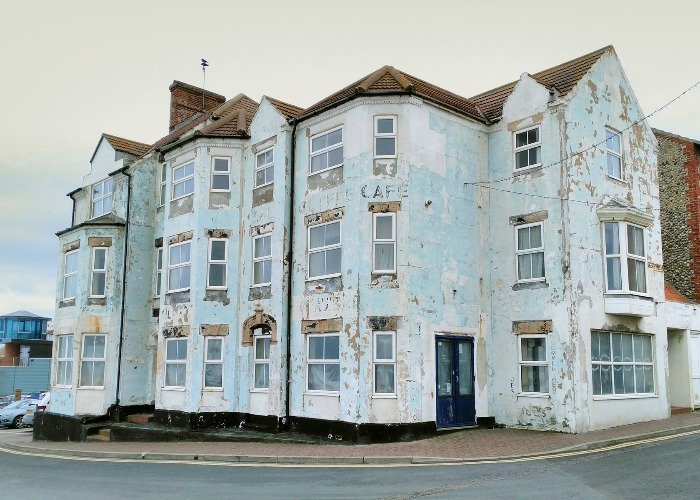 "A surveyor/valuer will often only assess a property on its current market value in comparison to other similar properties in the area whereas a builder will be able to tell you if there are any underlying problems such as subsidence, damp, electrical or boiler issues and it could cost you a fortune to rectify." Here are ten other red flags that the house you’re viewing is a potential money pit. You have been warned! Ideally, you’re looking for a structure with a steel-reinforced concrete perimeter foundation wall and footing – the beauty of a building won’t matter if its foundations are unstable. A building’s roof is its front line of defence against adverse weather conditions. A poorly maintained or leak-prone roof can spell serious structural trouble down the road. Damaged or missing shingles are a cause for concern and the biggest cause of water damage in homes, despite being easily avoided. For these reasons it’s recommended that you always have an in-depth inspection carried out before you buy, even if the roof appears in good working order. Take a close look at the property’s windows to ensure that all seals are well-maintained and intact as well as confirming that they all open and close correctly to rule out warping. If the house doesn’t have double glazing, factor in this cost to your overall investment. It might sound obvious but it’s so important to check that walls are straight, squared-away and solid – if they are leaning or bulging in any way then this is a big red flag. Floors should be flat, level and robust as any unevenness could be caused by poor structural setting. If the floor feels springy then this could indicate that the floor joists will need extra support. Beware old houses with steel pipes as these are prone to problems with build-ups, deposits and poor water pressure flow. Copper pipes are much more reliable. If you notice any piping that looks in need of TLC, ask more questions about the problem. How long has it been like this? Has a plumber been called out? Guttering should carry water away from the house and be graded to direct any runoff away from the foundations to avoid any potential weakening of the structure. Aside from the financial risk, dodgy wiring could prove to be dangerous so it’s even more important to pay due care and attention before you commit. A basic survey doesn’t inspect the state of the electrics so make sure you have an Electrical Installation Condition Report to ensure your property is safe. Buzzing or flickering lights could be a sign of faulty wiring – make sure you ask the sellers about any known and existing problems before you move forward with the sale. Look out for signs that you're not the only occupants of the house. If you see piles of sawdust near the skirting board it could be a sign of carpenter ants. Floors that buckle or sag, loose tiles and pinpoint holes in drywall are visual clues that there might be a termite problem. Keep an eye out for frayed wires, rodent droppings near waste points and check the attic for birds nests as all of these will have to be dealt with immediately by costly professionals. Luckily, there's a handy infographic with all of these points for you to print and keep but if you've got any top tips to share, please drop them in the comments field below!